Screaming tweens were sad to learn that Ed Sheeran recently quit Twitter to escape from the social media site's constant barrage of mean comments, and that decision has earned support from none other than Lady Gaga. The Joanne singer took to Instagram yesterday (July 4) to defend Sheeran, calling him an "incredible talented artist" and urging people to treat him with love and respect. "I wish all people on the internet would be positive and loving and apart of creating an online community that is kind and empowering, not hateful and mean," she continued. Gaga's uplifting message echoes the sentiments of her Born This Way Foundation, which preaches the values of mental wellness, positive environments and kindness, in addition to supporting to individuals struggling with issues like bullying. Sheeran previously discussed his exit from the 140-character platform, saying, "I go on it and there's nothing but people saying mean things. Twitter's a platform for that. One comment ruins your day. But that's why I've come off it." 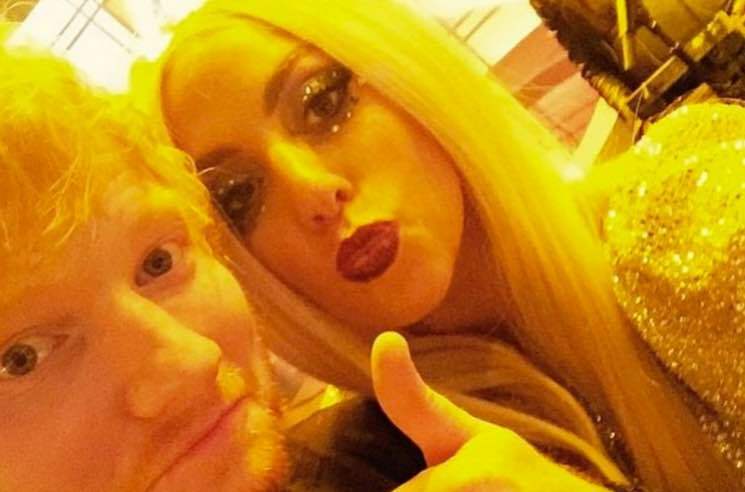 Read Gaga's full message to Sheeran below.